atalogic is a dynamic digital creative agency registered under the ministry of MSME, Govt. of India. We specialise in transforming digital business strategy via strategic brand planning, creative content creation & marketing, ad-film production, search intelligence, running short and long term campaigns and building customer experience in the form of a high tech website or a mobile app solution. We create digital branding strategies that helps you boost product sales in a competitive market. We are well known for organising large scale Esports / Corporate events, Ad-film production and varied design and technology transformation engagements. We love solving complex branding problems! You can outsource any problem to atalogic that is not your core competency; that is what we do, we provide you with solutions every step of the way. We plan, design, develop and deploy strategic digital solutions! We are here to re-define storytelling for the ever changing digital landscape where brand experience flows through digital, social, mobile and e-commerce as part of a single moment. Understanding the goals or requirements is the initial step where we collaboratively define the target to be achieved in a time bound parameter. We explore your goals, values, mission, business strategy and current marketing channels. User dynamics research is conducted to understand the target user groups. We explore your user’s demographic, habits, requirements and their current journey and how they can make better use of your product or services. We explore your challenges, opportunities, risks to determine what next steps to take and how to execute considering the feasibility. It is also important to plan the quantification method of strategy success for sustenance. We explore your brand voice and create a vision that will establish a communication medium and connect with your users. Right resources are deployed based on the creative direction. We design all necessary components to achieve the goals of the strategy in-line with your brand. We make you look great from all aspects of design, security, accessibility, usability following the UI/UX best practices. We follow an agile process to develop all the analog or digital needs for your project and go through a detailed testing and acceptance phase placing the outcome in front of your users. This follows with a user feedback and improvisation phase based on the nature of the project.  I Can Shoot You Films caters to the client demands by using cutting edge film technology and techniques. A unique perspective is what makes an ad-film stand out from the rest. We do that by showing stellar images that move with purpose of establishing a relationship with the consumers. We tell stories that target a wider consumer market and reach more people therefore sales of the product being advertised boom when the product hits the shelf.  Walls.io is our social media intelligence partner and a preferred choice for social media interaction using hashtag in a social hub. Showcase the best photos, posts or videos from the community on 15+ social platforms! Walls.io social media intelligence solution brings great value to our events, campaigns and allows us to showcase quantifiable results of the social reach and promotes user generated content and hence a great tool for organic marketing. Forged in the fiery challenges of Esports, Drag2Death takes its motto, “Small enough to listen, big enough to deliver” in a very passionate manner. An Esports venture by atalogic that provides 360° solutions for Esports events management.  Drag2Death is actively contributing to the growth of Indian Esports for the past five years with over 37 events and counting. Also known for providing free CSS, CSGO and TeamSpeak community servers.